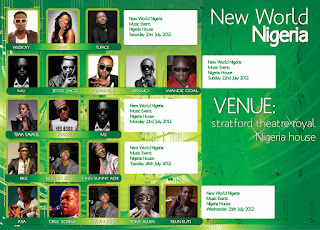 As London gears up for the Olympics, Africa's most dynamic country, Nigeria is brought to life at Stratford. 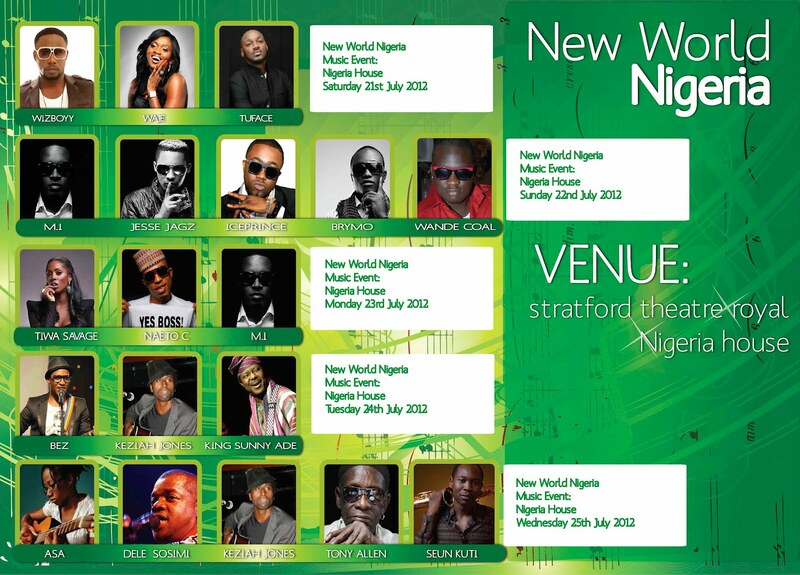 The East London borough of Newham will be treated to a feast of African music when top Nigerian artists take to the stage at the historical Stratford Theatre Royal from 21 to 25 July 2012 as part of the New World Nigeria Sports and Cultural Showcase. New World Nigeria is an initiative of the Bank of Industry. Created to market the diverse and vibrant Nigerian economy, it promotes investment and business opportunities for investor and business of all sizes. The second week of the project brings celebrated Nigerian musical acts, including the man who put Juju on the map, King Sunny Ade, Seun Kuti and Egypt 80, Tuface, Tiwa Savage, Naeto C, Choc Boiz: M.I, Jesse Jagz, Ice Prince & Brymo, Wiz Boyy, Waje and many more. The exchange at New World Nigeria will also include films, literature, theatre and poetry. Attendees can also enjoy an exhibition of Nigerian manufactured goods which will also be on display.